The summer of 2012 marks the 21st season of the LIBA & DiamondPros Baseball. During its first few seasons thousands of boys were assigned to play on teams divided equally between various age divisions. Games were played at the numerous public and private fields scattered in the Tri-State area. Over the last two decades The LIBA & Diamond Pros has grown considerably in its scope, depth and appeal. As we head into the Summer 2012 season, almost 750 NY youths on 68 teams in an anticipated 11 different divisions will be participating! The LIBA & Diamond Pros Youth Baseball tournaments are open to all New York Tri-State Area Youth boys playing baseball. The LIBA & Diamond Pros also sponsor, run and manage Clinics and Camps locally, and have supported and sponsored numerous events. In recent years, our alumni have filled most of the roster spots on highly successful High School baseball teams. Many of our athletes have gone on to play college baseball and several are currently performing at the highest levels of professional sports. The LIBA & Diamond Pros Youth Baseball sole mission is to provide organized, instructional, recreational and competitive baseball events to the New York area youth. It is run entirely by volunteers at the Board of Directors, team manager and coaching levels. League players range from the age of 8 to 18. 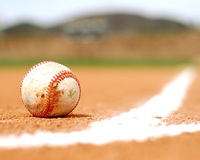 The members of the Board of Directors of The LIBA & Diamond Pros Youth Baseball take great pleasure in welcoming you to our 12th season of play with registration activities beginning in early January for the 2012 summer season. We wish you, your children and our players every success both on and off the field. We pledge our support as you enter into what we hope is a positive experience; for it is ultimately you, the managers, coaches and parents who will make our program successful and beneficial to our youth and their brilliant future.